Our feline pals Shadow and Brodie are back! 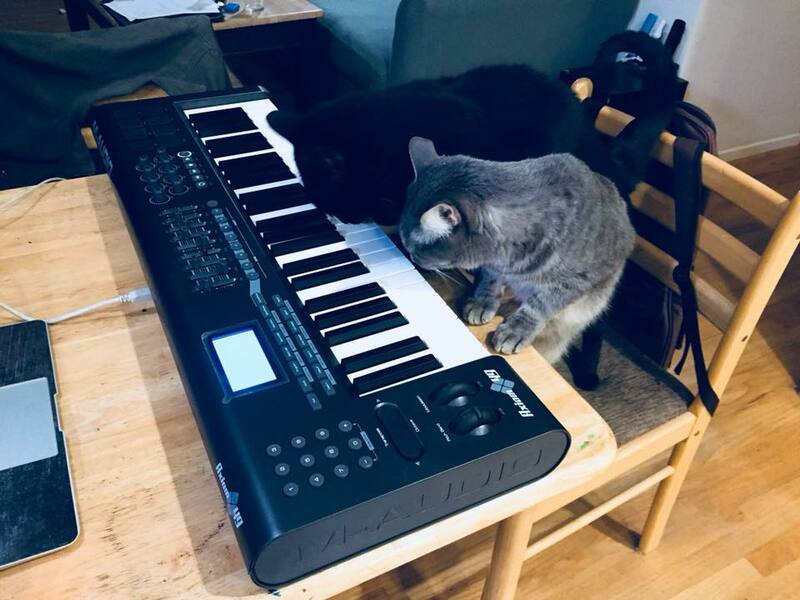 And they appear to be hard at work on their next hit song as they sit at their keyboard – an M-Audio Axiom – together. Submitted by Anne Corwin via our Facebook page. Posted on July 3, 2018 by catsynth	This entry was posted in Cats, Synthesizers and tagged anne corwin, black cat, brodie, Cats, keyboard, m-audio, shadow, Synthesizers. Bookmark the permalink. Shadow and Brodie look like they’re going to play a duet!